Sport Funding and Finance provides a complete introduction to the macro-level and micro-level aspects of sport finance. It describes the evolution of sport from a kitchen-table operation into the sophisticated, boardroom-driven global financial industry that it is today. It uses the professional sports leagues of the US and Europe as an international benchmark, and explains why the financial context is so important for all managers working in sport. The book also provides a step-by-step introduction to the principles and practice of effective financial management, providing the reader with a complete set of professional tools and skills for use in the sport industry. Every chapter includes a blend of theory, contextual material and real-world data and case studies from around the world, clearly linking principles to practice, as well as review questions and problem-solving exercises to test the reader’s understanding. 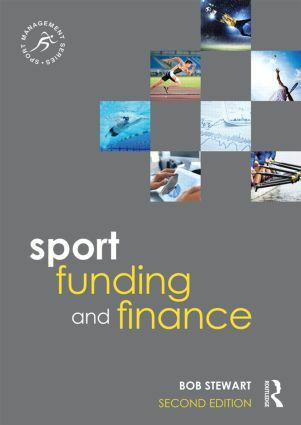 Sport Funding and Finance is the perfect foundation text for any degree-level course in sport finance, and an invaluable reference for any sport management professional looking to deepen their understanding of funding and finance. Bob Stewart is Associate Professor in Sport Management and Policy at Victoria University, Melbourne, Australia. He is also an affiliate of the University’s Institute of Sport, Exercise and Active Living (ISEAL). Bob has taught both undergraduate and postgraduate sport management programs for fifteen years, and is one of Australia’s leading sport management educators. His primary responsibilities have been sport finance, the management of drugs and supplements in sport settings, and sport regulation.